The most significant benefit to franchising is the reduced level of risk. This comes from the franchise system’s proven method of doing business. Franchising offers individuals the opportunity to be in business for themselves, but not by themselves. The franchisors are there to provide support with all the different functions of the business. They have seen the issues that can arise in their business and therefore, have the know-how to deal with any problems effectively. They provide extensive initial training and support so you’re well prepared to handle whatever comes. They can also provide advertising and marketing support to help build your business. Why use Fran Americas and not go directly to the franchisors? Quite simply to save time, money and potential aggravation! We provide free business consulting to help you achieve your goals. We have the experience and knowledge necessary to assist you in choosing the safest, most successful business opportunities available. Our expertise and knowledge can save you weeks or months of time in research. And there is no cost to you for this service. 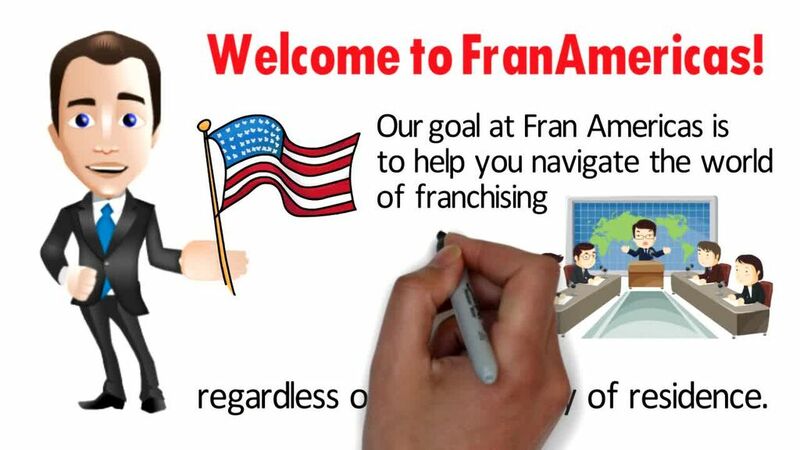 The price of the franchise and associated fees will not be higher if you choose to use Fran Americas. How much does it cost to use the services of Fran Americas? You do not pay for the services of Fran Americas. The price you will pay for any franchise will be the published price as if you had gone directly to the franchisor. Our franchise partners recognize the benefits of the quality and fit of a client that has been referred to them after consulting with Fran Americas, and they absorb our marketing costs. How will Fran Americas help me to find the best franchise for me? How much capital do you have, to start a business with? We have pre-screened hundreds of companies from all areas of business in order to provide you with a wide variety of quality franchise opportunities. They must meet the exacting standards set by us, in order to get included in our catalogue. We have done the work so that we can help you find the franchise opportunity that is perfect for you. Our franchise partners are experienced with this issue, and many offer financing options. We can assist you with exploring the financing options available to you. No. In fact most franchisees have had no experience in the industry that they go into. Franchisors want their business operators to focus on running the business and not performing the labour their concepts require. Franchisees are managers, rather than workers. Franchisor need people who can be effective in areas such as motivating employees, generating sales, and running the day-to-day operations as effectively as possible. This depends almost completely on you. Our consulting process can be completed easily within a few days if you are motivated. Once you begin investigating different franchise opportunities, most clients can find a great match for them within one to three months. After you select the right business for you, it will typically take anywhere from 2 weeks to 6 months for your actual business to open for operation.